What did the w3p team really think of Ipex? Given the dire outlook a year ago, we think 'well done' to the organisers! Sure, it was a very different show from the Ipex expos we all remember, but it worked! For w3p, save for the last hour, we ran at 92% in terms of the utilisation of our 4 demonstration zones. Clocking up 280+ qualified w3p software demonstrations during Ipex. We gave away 1000 copies of Tony’s new book – to interested people from Chiswick to China. 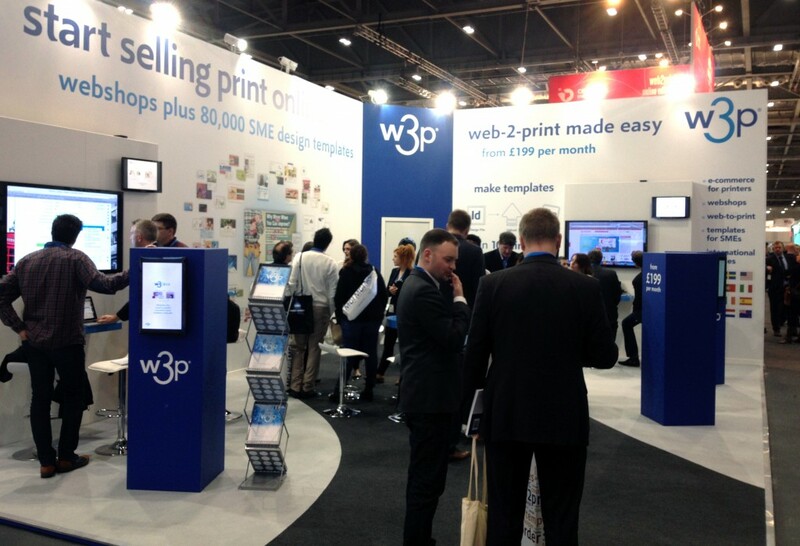 Why did Ipex work for w3p? At £199 per month for simple to use web-2-print, it’s a low-cost way for Owner / Managers to sweat their resources and capital investments harder. Making web-2-print templates direct from InDesign proved to be the ‘show-stopper’ for the w3p team, with some clients wanting to see the process repeated, as they didn’t believe the simplicity. How will things change for the next Ipex? Well, one thing is sure, CrossRail will be running which might improve accessing Excel from across London and elsewhere. Overall, we enjoyed a very fruitful Ipex and we expect good things from the next one. How does selling web-2-print differ from selling print? Why are we calling it 3rd generation web-2-print? B2client web-2-print: Who wants what? B2Client web-2-print motivation, what's in it for the client? How should you adapt your web-2-print pitch?